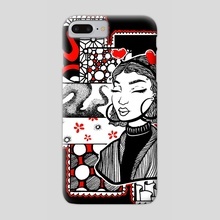 Another one of Cecilia's prints closing out our Valentine's themed month. I personally enjoy this piece and I hope you guys enjoy the patterns she made for it. Partnered with my good friend Cecilia, we're just doing what we do best. 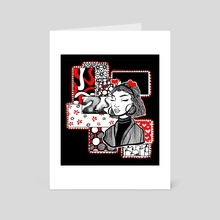 We have art cards, prints and phone cases available as well as our own shirts! 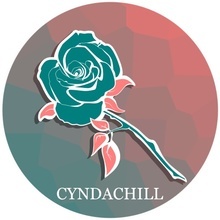 Head over to CyndaChill.Threadless.com and buy one today!